T. S. Elliot wrote " We shall not cease from exploration, and the end of all our exploring will be to arrive where we started, and know the place for the first time." I love this line from Elliot's Four Quartets. I will be exploring The Coast to Coast long distance path, helping Lionheart Tours guide a party of Americans from St Bees in Cumbria to Robin Hoods Bay in North Yorkshire. It will be an exploration because although I have walked it before it was East to West. Walking West to East makes the quote relevant as I will end up where I started from previously! After the walk ( about 12 days ) I will take a train to Norwich to see my family, especially my new granddaughter who will be four months. I last saw her in April just after she was born. This is me on the Coast to Coast. The Heather blooms briefly and gloriously now. Another reminder to enjoy each moment. I want to be done with this. I have no further need. Bureaucracy, tax inspectors, vat men. Away with them all. Accountants, bankers, solicitors, landlords. Away with them all. I want the things that mean the most. Immeasurable things. Valueless valuable things. Unknownable things, unpossessable things. I want to throw away things. Surplus this and surplus that. Donate this to that and that to this. Here take this. I have too much. I want to simplify, to prune, to lighten. My needs are few. Less is more. Release the bonds. I want to feel. Exhilaration. The fresh earth. The sun. The dew. The river. The vibrant interconnected pulse of life. The sea. The grass. The leaf. The insect. The mountain. I want to close the doors. Hand in the keys. Say goodbye. Duty done. I enjoyed the fight. Now it's time. Let go. I want to see, to feel, touch, glory in, be absorbed by... wonder. Muse on it. Absorb the beauty of love. Mind unimpeded. Mind unclouded. By things. Written when I gave up the day job and before I took the next one! From empty moments in meditation or absorption the form of creativity arises. Like mist rising from the still lake. Eva is the delightful daughter of my good friends Gunapala and Suzie. She is only four and a half years old and is always drawing and painting. I think she has something, a talent which should, and will be nurtured. What do you think? Can you see the angel in this picture? 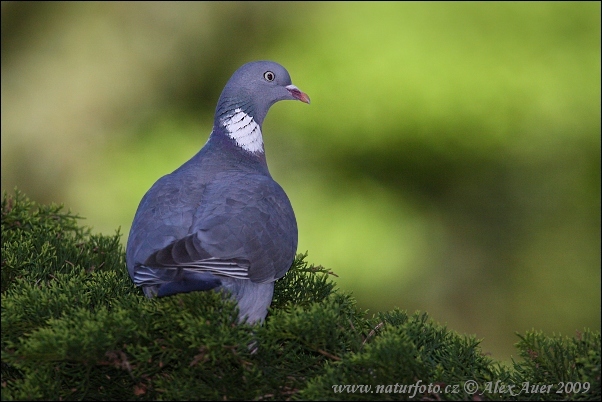 A wood pigeon softly calls, hidden in the tall pine trees. Late July now. I notice the gentle sound. A moment of awareness. All through the spring, frenetic activity, raucous calling. All but the nearest bird song overwhelmed by The Rookery. The Rooks have gone now. A new generation flown. Another year. I am awake to this moment. To the flow of time. Two Beech trees stand on the footpath to Totnes. Sentinels overlooking the path from the steep bank. Beautiful. Magnificent. Huge in stately perfection. On the trunk of one is carved: Sam loves Brooke. On the other: I love Amy. Where are Sam, Brooke, I and Amy now? The tree remains, growing serenely upwards. Just as the tree, we bear scars. Scars inflicted by others and by ourselves. The Coast to Coast walk. North York Moors. Too busy to paint at the moment! So much going on so can't complain. Back from the three day walk on Friday and confirmed with Lionheart Tours that I would help with the leading of the next National Geographic Coast to Coast walk from Sunday. Nice to be paid for doing something I like! It makes a change from the day job. Looking forward to getting back to my painting though. Hearts pounding steadily. Awed by the encircling bulk. Muscles exulting, working comfortably close to capacity. Sweat cooling the miracle that is the body. In the quiet midst of exertion the mind meditates on the miracle of life. Ascending slowly, surely, reaching with feet and hands deeper into the corrie. Into the corrie that is the breach in the armour of the mountain. The sky opens. The ridge reached. Narrow, plunging away immediately into the next valley. Lochans, streams, sparkle and shimmer away to the north. Past, around and under other shadowed hills. To the west our spirits follow the ridge, rising sharply to the penultimate peak. Beyond higher still, the power of the greatest peak imposes it's presence on the entire mountain and it's fragile visitors. Drawn upwards. The final defence. Rocks, cold and icy even on this so benign winters day. Standing in space. Sun low in the southwest. Sea, diamond flashing to the west. The whiteness of Beinn Eighe eternal to the east. Joy. higher than the mountain in the completeness of our triumph. Faintly appearing like Riders of the Apocalypse. Early. Distant at first, then close, so close. Growing in intensity. Relentless. There will be no more sleep. You fight. It's too late. Cold fear grips. You are scared. The Gremlins of possibility and probability. Powerful beyond the reality which returns with the light of morning. This poem was written when I was going through a crisis and it had so overwhelmed me I couldn't sleep. For me it was a prelude to new personal growth. So I dedicate this poem to anybody reading this who is suffering from a crisis point in their lives and wish them well for a post crisis future. Sitting down for my evening meal on Sunday the 10th when I received a call from Dave Lunn of Lionheart Tours. Dave and I became friendly when he used to pass my shop in Osmotherley when leading groups of Americans on the Coast to Coast walk. Dave had previously asked me to help with a group on the 24th or 25th July but at the time I felt unable to accept due to other commitments. Now he was asking me to join him for the last three days of his current tour, all expenses paid. However I would have to get down to Osmotherley on Monday 11th! After five minutes thought I agreed and we raced down to Osmotherley to join the group for their evening meal in the Three Tuns. It was great to be back in Osmotherley where I have many friends. In the morning Dave said " Lead off and I will catch you up" Some hours later still no Dave and I guessed ( correctly ) that I was in charge of this group until we stopped for lunch.Was this a job interview by action I wonder? Thank goodness I didn't lose them! Dave did catch up ( by bus ) later. We walked from the Blakey Lion on Wednesday and from Grosmont to Robin Hoods Bay on Thursday. It was a great walk, a great three days and a very nice group of people. So thanks Dave and if you are reading this I will shuffle those commitments and join you for the whole of the next tour. Robin Hoods Bay. The end of the Coast to Coast walk. Slowly, slowly we walk. Time to absorb. First past the old Chestnut trees. Pausing we wonder. The white fountain of flowers are examined as never before. Huge with delicate subdivisions topped by red stamens. Beautiful, glowing against the backdrop of green leaves. We observe the lushness and exceptional greenness of late spring, the result of heavy winter rain. Slowly, slowly we walk. Onto the ancient parkland. The hot sun drawing the vigorous grass upwards. Buttercups and blue flowers populate the grass. So dense in the middle distance the grass turns blue and yellow. Everything pulsates with, throbs with, life's unseen power. The delicate ethereal blue flowers radiate and channel this most strongly. It penetrates us joyfully. We sit and rest in the extensive shadow of an old oak. We admire the gnarled bark and the light and dark greens of it's sun dappled foliage. Further away a low boughed tree casts shadow of such intense blackness that the sunlit Cow Parsley stands out like a light on a dark night. Slowly, slowly we walk. Into the woods. Enveloped by coolness we listen to the unbridled joy of birdsong. Undergrowth alive with sound and movement. Two squirrels dance the tango of life around a tree trunk. We look at the Bluebells, their full glory gone. A reminder of the changing changelessness of each perfect moment. Slowly, slowly we walk. Retracing our steps. Past those wonderful aged oaks. Observers of so many seasons of change and renewal, of rain, sun, wind, and snow. In witness today of us, as we enjoy each other and this perfect moment. This poem is dedicated to a friend who was recovering from an operation when we did this walk. 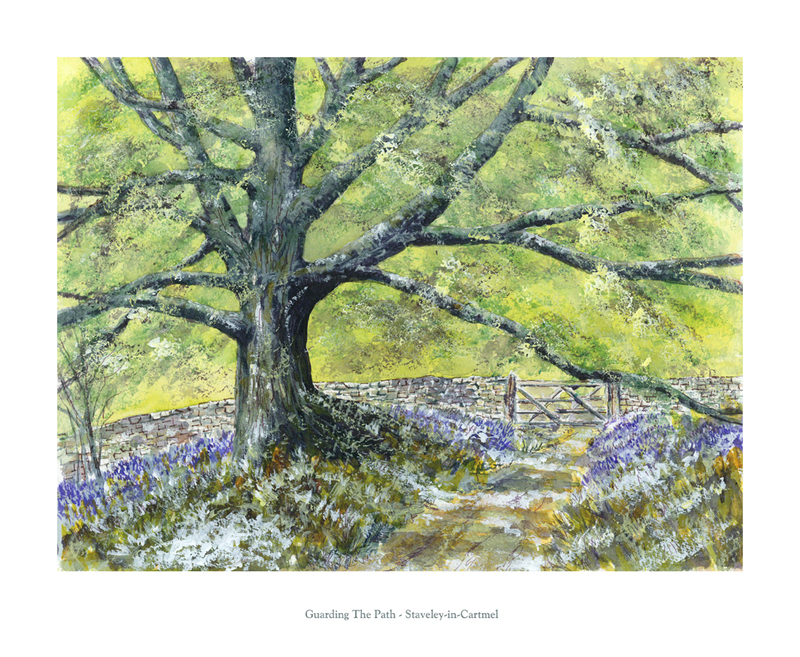 The painting is by me of an old oak tree and is titled Guardian of the Path. Centuries of habitation. Old houses abandoned for new ones beside. Stones overgrown with weeds. Flowers and grass indicating perhaps an older dwelling and hummocks a sign of something ancient. Amongst the peace and solitude one senses the desolation overcoming those not suited. The island reclaiming each departed souls evidence of existence. Tenacious Sea Pinks march across the layered rocks at the sea edge and dance to acknowledge the wind. A little further back, in the wild grass of the numerous stone enclosures, dazzling Yellow Vetch and purple Geranium Molle mingle in colourful exuberance. New prosperity is arriving to Inishmore. New foreign faces from every corner of the globe step ashore daily from the mainland ferries. Bicycle hire, mini bus tours, pony and trap excursions bring employment and money where once there was hardship and struggle. Nevertheless after the last ferry, the island reclaims it's own, leaving temporary residents in the hostels and guesthouses, who in turn are all gone at the end of the season. What happens on Inishmore in winter when the westerly gales sweep in from the Atlantic? Do some of the inhabitants use their new prosperity to descend on other people, on other islands, in another hemisphere? 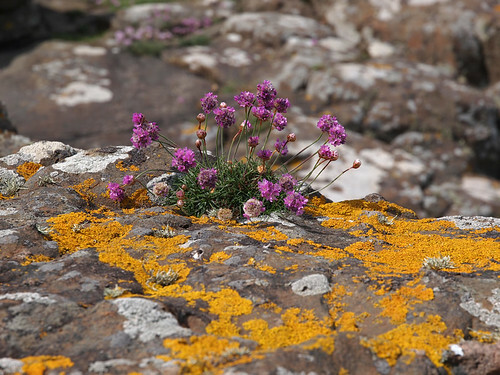 Do they long to be back on Inishmore when the days lengthen and the flowers awake from their winter slumber? This is what helped us on our journey! Well we returned from our Tour de France which we completed in record low time. I for one nearly didn't make it as I nearly missed The Bike Bus on the 4th June! I arrived at my pick up point early at Leicester Forest Services having stayed overnight with my friend Maureen but having loaded other people the bus pulled away as I was turning my handlebars ready for the trailer. I ran after it with my bike ( it doesn't push well with turned handlebars ) shouting and hopping along. With the bus approaching the exit slip road and me losing ground the driver saw me in the mirror. After a few choice and unmentionable expletives I was loaded up and 24 hours later was dropped at Orange with my two friends John and Peter. Our tour took us across The Gorges de l'Ardeche, over The Cevennes by way of the col under Mont Lozere ( never again ) down The Gorges du Tarn, up The Gorges de la Dourbie, down the river Orb and finally heading out of the mountains we picked up The Canal du Midi which we followed to Beziers. We spent two welcome days with my brother Tony who lives between Beziers and Montpellier. It was bliss to sleep in a comfortable bed after nearly a month of Spartan campimg. We then moved to the coast and rounded off the last three days swimming and lazing around before picking up the return bus at Montpellier on the 3rd July. The photos were taken at St. Ambroix at a fete celebrating the local regional culture of Occitane which we were told has something in common with The Catalan region of Spain. Certainly the language seemed to resemble Spanish to some degree. So one month older, a bit tanned, maybe a bit fitter but non the wiser I am back to my day job. I did a few sketches and am looking forward to painting them. All in all a very nice trip.